Would you like to have hundreds of articles, videos and downloadable ebooklets on relational wisdom, biblical peacemaking and Christian conciliation available on your smartphone? Or, most importantly, to share the gospel with an unchurched coworker. All of this information, and much more, is now available through our new RW360 Smartphone App. The app contains an introduction to relational wisdom, twelve acrostics to help you learn and practice new relational skills, over fifty special applications of RW and all of the key peacemaking and conciliation principles found in The Peacemaker and Leading Christians Through Conflict. It also includes several ebooklets, links to online and live training, thirty-six translations of the Bible, and answers to nearly a hundred frequently asked questions about building relationships and resolving conflict. These life-changing concepts can be applied in every area of your life, whether at home, in church or in the workplace. The app contains both a faith-based (Christian) and a values-based (secular) version of relational wisdom and peacemaking, making it easy to share with unchurched friends. If he says yes, you could pull out your smartphone and open the RW360 App to the “Values-Based” homepage. 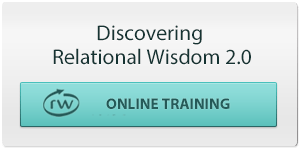 You could then click on the “Intro to RW,” “Workplace RW” and “Resolving Conflict” buttons, sharing the simple and yet powerful principles that your friend could use to improve his work relationships or to start rebuilding hope and trust in his marriage. If he seems open, you might then ask, “Could I show you a different version of these principles that I use in my life?” If he says yes, simply click on the “Faith-Based” tab and bring up the “God-Aware” RW diagram. Share your testimony, beginning with the damaging relational patterns of your earlier life and your failed attempts to change. Then describe how God has transformed your life and relationships since you trusted in Jesus as your Savior. If you don’t sense that it’s the right time to share your testimony, you could simply ask your friend if he’d like you to have the RW360 App on his smartphone. If so, simply click on the “Share App with a Friend” button and text or email him the app link. When he opens the app on his phone, he’ll see tabs for both versions of the app. As you pray for God to trigger his curiosity, he may eventually click on the “Faith-Based” tab. As he scrolls down, he’ll see a button that says “Gospel Outpouring.” If he clicks on it, he’ll see how the gospel can transform his life and relationships. If you’d like to trigger these kinds of conversations more frequently, buy one of our new RW360 Water Bottles and put it on your desk at work. It’s designed to be so striking that coworkers will notice it and ask, “So what’s relational wisdom all about?” You can simply smile and say, “Let’s go out to lunch, and I’ll tell you all about it ….” You can also trigger these conversations with one of our new RW360 Baseball Caps. To download the app, just go to the Apple or Google store and search for “RW360,” or simply click on one of the links below. Be sure to click “allow notifications” so future blog posts will come directly to your phone. If you find the app to be useful, please go back to your app store and write a review. More importantly, start sharing it with your friends so they can benefit from God’s relational wisdom and its ultimate expression in the gospel of Christ.